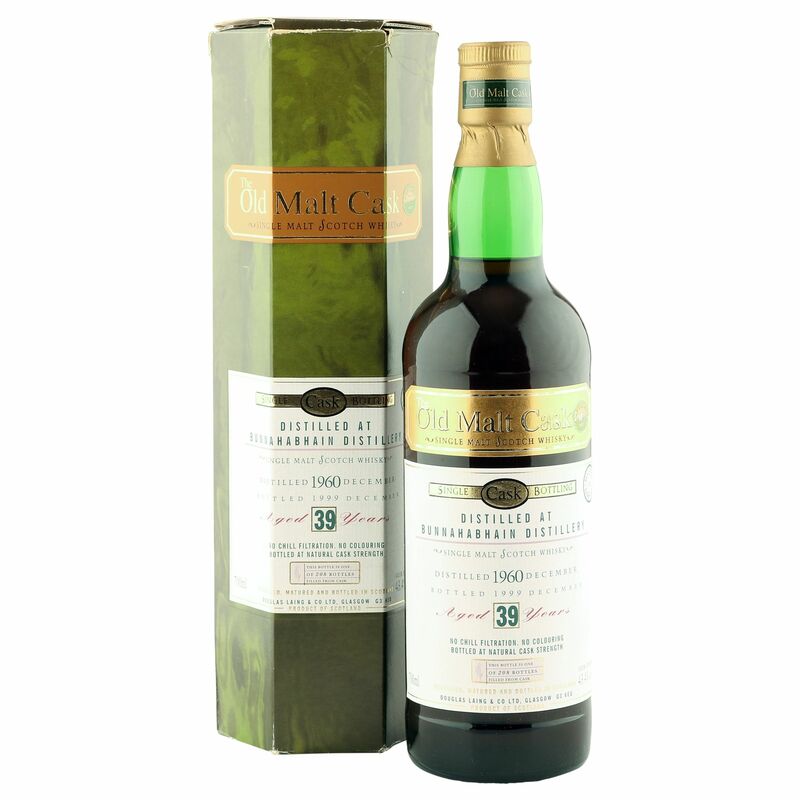 This majestic 39 year old Islay single malt was laid down at the Bunnahabhain distillery in December 1960 and bottled by Douglas Laing & Co, as part of their The Old Malt Cask series, in December 1999. Bottled from single Sherry cask at a natural strength 43.4% ABV, this is one of just 208 bottles that scored a scorching 92 points on WhiskyFun and comes with original carton. Interestingly enough, Bunnahabhain had stopped peating in 1963, just adding to what is an incredible work of art from an historic distillery.